You’ll Like the Way We do Business! We offer trimming for shrubs and bushes. Keeping your yard looking it's best. Commercial and residential services offered. We use a variety of mowers that are assured you with a smooth even finish that will make you proud and your neighbors envious. 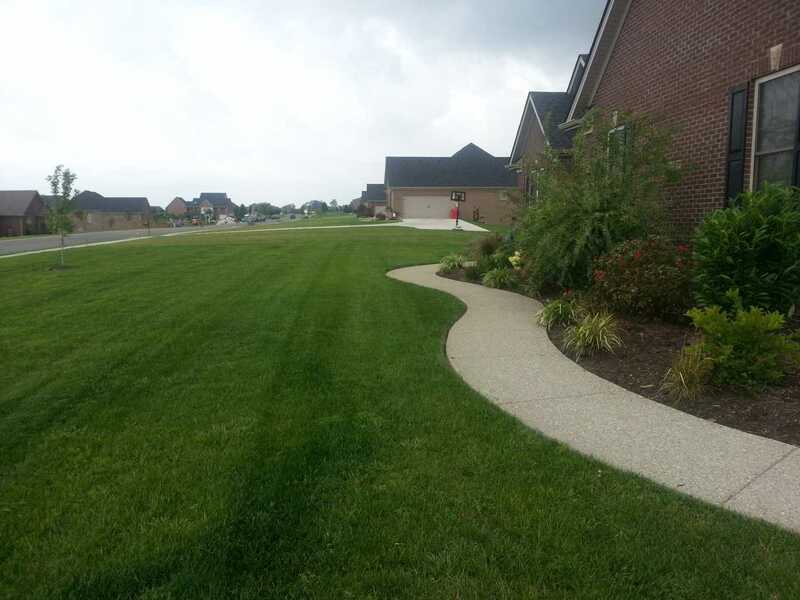 We are your Central Kentucky lawn care specialist! Push mowing and bagging is available for smaller residential yards with 1 through 4 inch adjustable cutting levels. We use zero turn mowers with fresh sharp blades to maintain and even finish and beautiful stripes across your lawn. All of our lawns are trimmed to well define edges along sidewalks, patios, driveways and fence lines, with clippings removed by a high powered blower. Pressure washing is available for a completed finish. I recommended this service annually, for removal of dirt and molds that discolor your property and provide a cleaner brighter appearance. Pressure washing applications will reduce molds and unwanted growths, improve the appearance of your home, pavement and fencing making your home look years newer (limitations may apply). Often times, same day or next day service is available if you need house to be prepared for a presentation or special occasion. Give us a call or leave us a message and see what we can do for you! Walter is a great guy, family, and business man. He is a local Kiwanis Club member and a trustworthy individual that will compliment your needs the right way. I can say all of this and I barely even know the guy but glad that I ran into him. P.S. Do not hesitate to call on him to maintain your yard this summer! Walter of YardPro Did a fantastic job on our landscaping clean up, trim, and restoration. I just looks great. He is very friendly, knowledgeable, hardworking, and does a great job start to finish. I recommend for you yard needs. Walt is the Best! He has been doing our lawn and shrubbery for years now, and we couldn't be happier! He tells us we were his first customers...I don't know about that, but I do know we're his happiest customers! Walter did an outstanding job on our yard. He has been punctual and professional. I can't think of enough good things to say. © 2018, Yard Pro. All Rights Reserved.